Chances are slim that a new foreclosure sign was posted on your block. 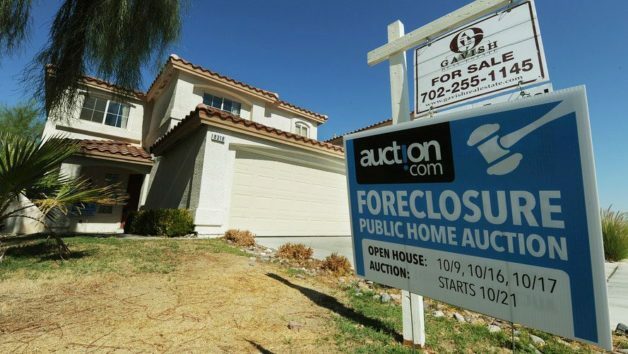 The number of foreclosure filings, which include default notices, auctions and bank repossessions, dropped 19% nationwide from a year ago during the first quarter, affecting only roughly 235,000 properties, according to a report released Thursday by real-estate data firm Attom Data Solutions. That figure represents the lowest level of foreclosure activity reported since the third quarter of 2006. In March, the foreclosure process began for 36,370 properties, a 6% increase from the previous month but a 24% decline from 2016. New Jersey had the highest foreclosure rate in the country, with one in 497 homes having a foreclosure filing, followed by Maryland and Nevada. While the decline in foreclosures indicates a stronger housing market, it could also worsen the affordability crisis creeping up in many cities across the country. And the lack of affordable housing has caused many people to choose to rent for longer, since down payments can easily cost a year’s salary in some markets.